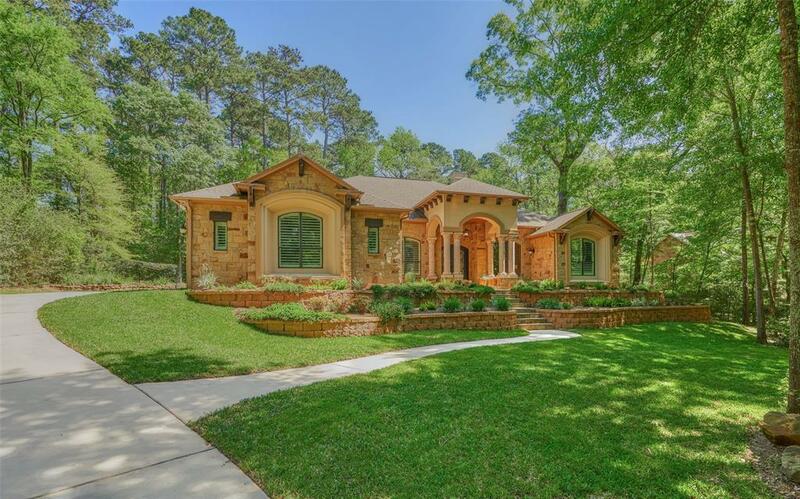 Custom 1-story on nearly 1-acre in Teaswood,Conroe's most excl gated communities.Upscale entry to prop w/stone columns,lanterns,wood open-rail fence @street.Ex-wide driveway,3-car XL garage.Grounds w/trees,azaleas,raised beds flank steps to entrance,fountain.Custom columns made from Cantera stone(mined in MEX).Porches w/pine bead-board clgs & flagstone over concrete flrs. 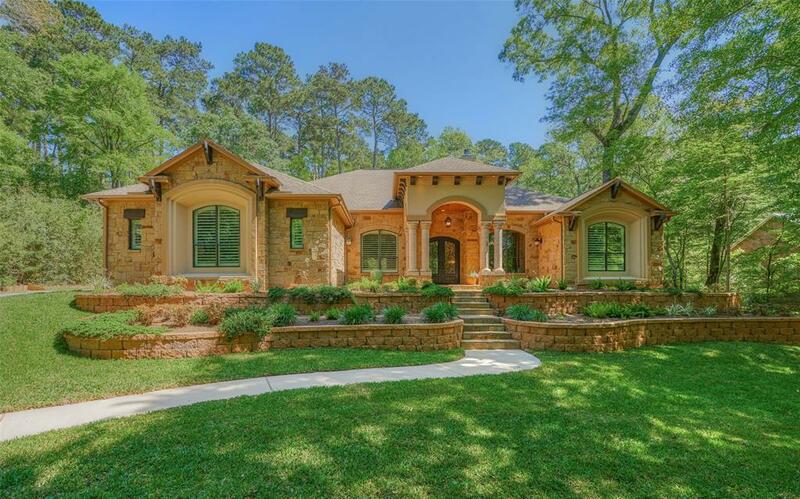 Interior features:Custom Kent Moore knotty Alder cabinets; Hand-scraped hickory floors;Plant.Shutters;CentralVac;WaterSoftner;SpkrSystem;Electronic closet;Granite;Kitchen w/XL island,SS appl 2ovens, gas cktop, MW, DW, 2 refrigerators. Family Rm w/Cedar beams,full-size real stone FP. Master bth w/2vanities, tub w/columns, W/T shower w/2 entrances. 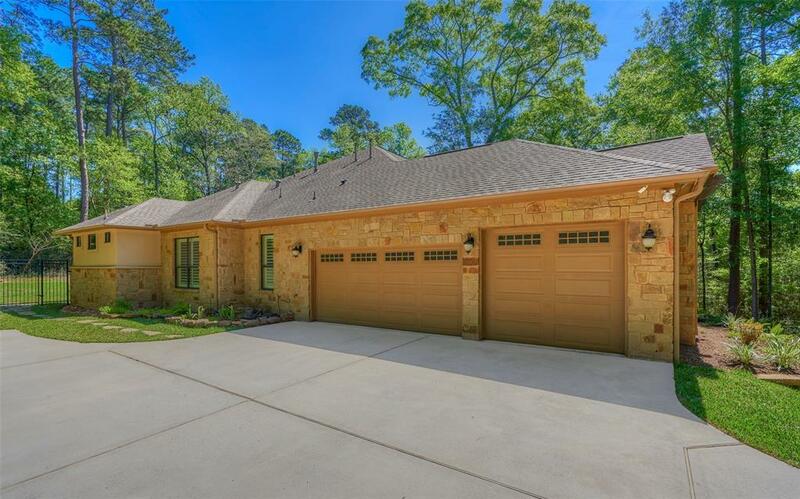 Rooms:Formal/casual dining, study, 4bdrms, 3bths (flex-room c/b 4th bdrm/hobby/game/exercise,lrg closet).Lanai w/summer kitchen,iron fenced backyard w/lrg custom firepit. 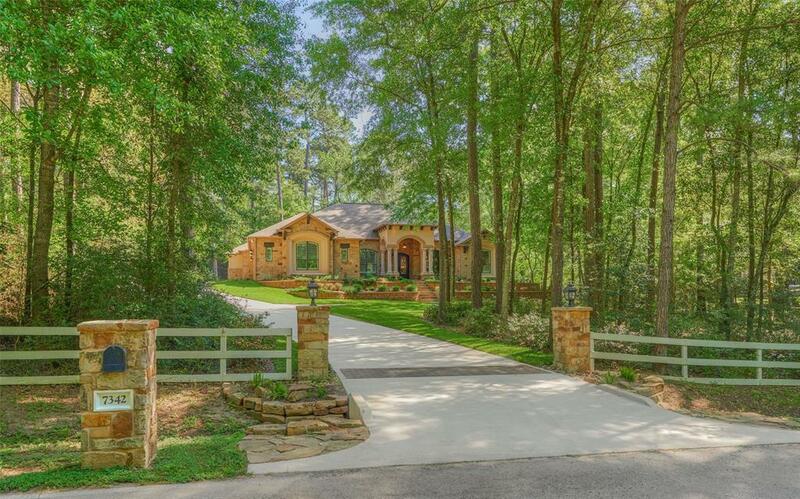 Teaswood offers excl style gated comm w/quiet estate living,close access I-45,15 min N of The Woodlands.